© 2018 Climbing Creative Ltd.
it’s great for life full-stop. Yoga here isn’t an afterthought. It’s a fully tricked out standalone studio. Air filtration, sound system, ambient lighting. Offering classes for all ages and levels. Vinyasa, hatha, restorative, pre/post natal. Every day there’s something on. Yoga is a key element of Yonder. So we made a gorgeous dedicated studio. To make it even easier in the future, download our Yonder App from your app store. Head on over to us at Yonder. If it’s your first time it’s great to come 15 minuets early and have a chat with one of receptions to get checked in. You can find us here. A beginners’ course is the ideal way to start your practice. It will give you a confident and safe foundation from which you can explore the different styles of yoga on offer at Yonder. Offered in varying degree’s of experience this type of Yoga coordinates movement with breath to flow from one pose to the next. This is an old system that includes the practice of asanas (yoga postures) and pranayama (breathing exercises), which help bring peace to the mind and body. It can be used to prepare the body for deeper spiritual practices such as meditation. Learn to trust and let go in our playful AcroYoga class, where the wisdom of yoga, the dynamic power of acrobatics and the loving kindness of the healing arts are blended into one. 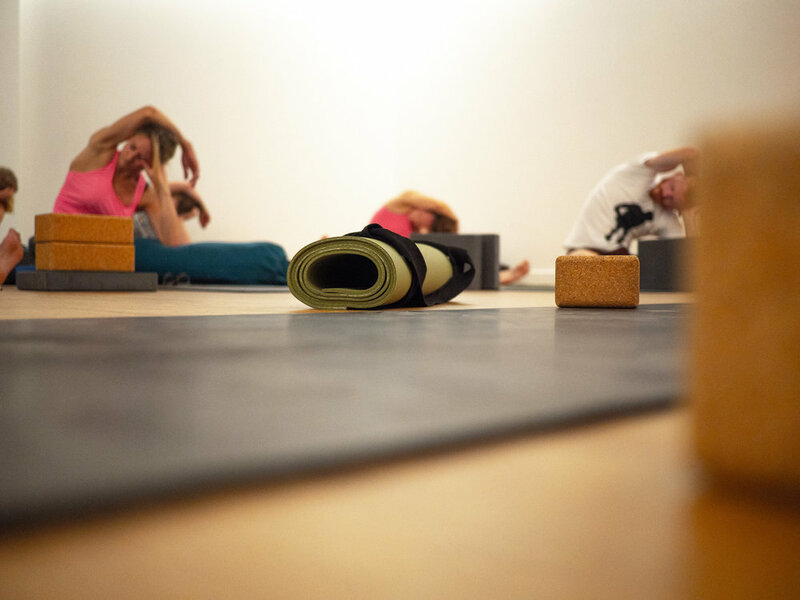 A passive and meditative practice, Yin Yoga involves variations of seated and supine poses typically held for 3 to 5 minutes, accessing deeper layers of fascia. Designed to help you sit longer, and more comfortably, in meditation by stretching connective tissue around the joints. Yoga is a safe, simple and natural method of preparing for the miracle of childbirth. Pregnancy yoga classes combine relaxation techniques with stretching, strengthening, and breathing exercises to teach women the essential skill of being able breathe correctly throughout birth and in times of stress. Restorative is a gentle, relaxing, passive style that allows students to relax and release the body into a gentle stretch that is held for as long as 10 minutes. This style makes use of a wide range of props, including bolsters, blocks, straps and blankets. To find your perfect class, drop us a line. * Students, Over 60s, JSA & PIP. Proof of I.D is required. Please sign up in Person at YONDER.